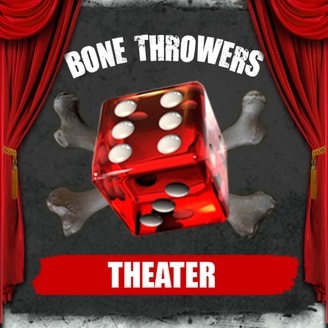 Welcome to Bone Throwers Theater! We are a role playing game actual play podcast. We play both long-term campaigns and one-shot sessions. Our current main campaign is called Angel's Guard. It uses the Mini-Six RPG from Antipaladin Games. It is set in a fantasy realm analogous to Elizabethan England. The party members are a part of the domestic spy network, tasked with rooting out threats against the Crown. Join us every Monday for new episodes of Angel’s Guard. On Thursdays, look out for one-shot episodes from a variety of systems such as Fiasco, Inspectres, Cosmic Patrol, and more! We put a bow on this awesome adventure as we add our final commentary on the Angel's Guard campaign. What a ride it has been! We discuss how much the characters have changed, some timeline theories, and even some possible "alternate endings". It is sad but fitting that this episode is released today, as Jordan credits his inspiration for the final scenes of this story, Author and Grand Master Gene Wolfe, who's recent passing will definitely be felt in the science fiction and fantasy community. 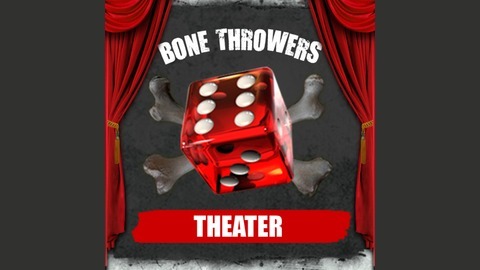 We will keep on rolling and begin a band new adventure next time on Bone Throwers Theater.